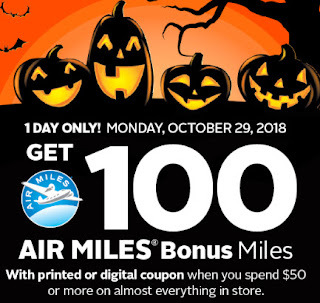 You can get 100 Air Miles bonus miles when you spend $50 or more on almost everything in Rexall Drugstore. This offer is for Oct 29 only. Printed or digital coupon is required.